A wonderful character filled violin labelled Enricus Ceruti 1804. 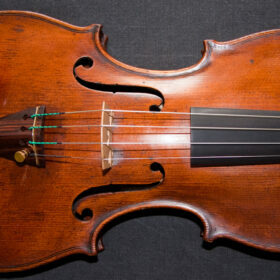 SKU: 00052 Categories: Violins, Italian Collection, 19th Century. 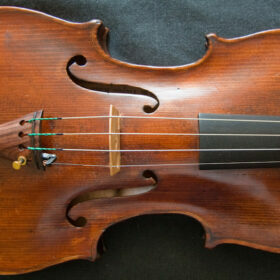 Tags: 19th century, antique violin, Ceruti violin, Davy Crockett violin, old violin, violin. 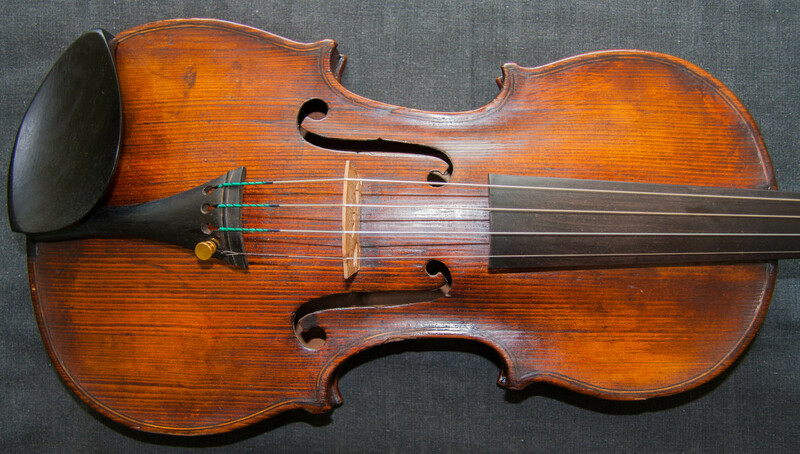 A wonderful character filled violin labelled Enricus Ceruti 1804 (probably originally 1864 – a zero has clearly been inked over the original second last digit). 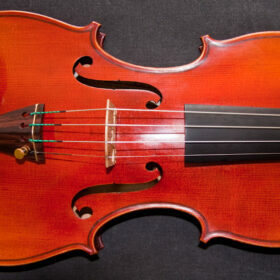 This is a beautifully made old violin, with dark varnish, a broad grained top and finely flamed single piece back. The tone has an old world character with a great dark complex sound on top of it. 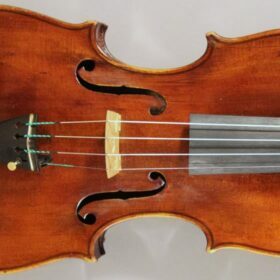 Sometimes the sound of a violin paints a picture for you and such is the case with this violin, it conjures images of dusty roads and ‘big sky’ country, like it has the dust of the old Wild West in its every pore. When a colleague of mine played this violin he called it ‘Davy Crockett’ and that name has stuck since then. 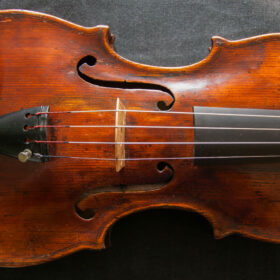 With the dark varnish and wide grain top it looks like an old western fiddle too. There is a repair label inside on the upper block from Carl Fischer, New York; which was one of the best shops in New York at the time. 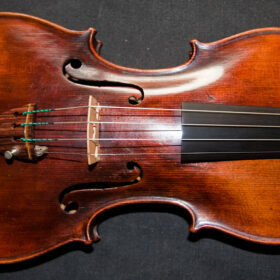 This speaks highly of the quality and value of the violin. 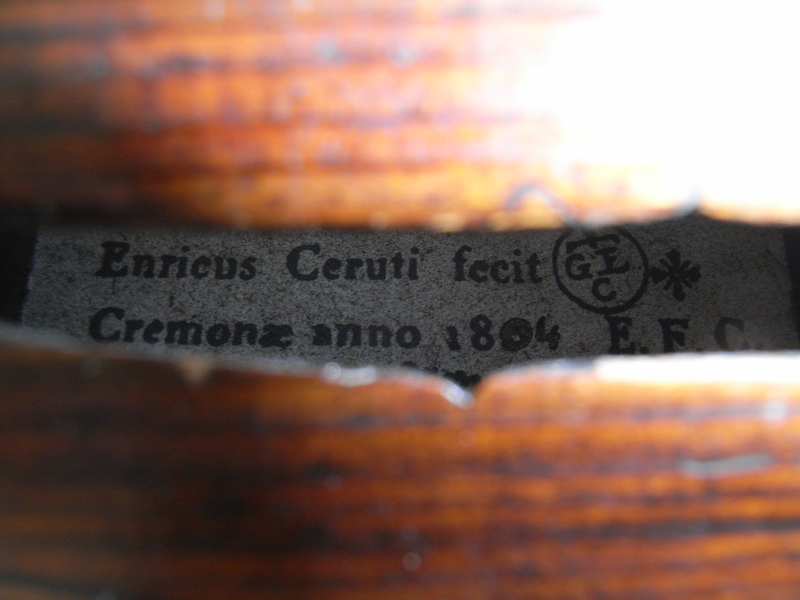 It is always nice to see this kind of provenance in a violin. 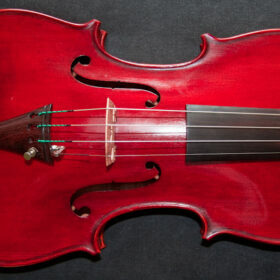 A really fun violin, for serious players.